When I was 19, a friend killed himself. That day we had a fight. A silly, stupid teenager fight. It meant nothing. In fact, we probably would have been at a party later that weekend laughing about it, hugging it out…instead he killed himself. I use the words “killed himself” rather than “committed suicide” because that’s what it was in my mind. He hadn’t been depressed. He hadn’t planned to take his own life for weeks or months. He didn’t talk about death. He didn’t make statements like, “The world would be better off without me.” There were no signs. He just did it in a random, split second decision. But, I know it was suicide all the same. The events leading up to that event are blurry to this day. They make no sense. I know after our argument he left to hang out with other friends. Later that evening he stopped at a gas station for gas. There he had words with a neighbor, who was also a local cop. These two didn’t like each other. They had a history of bad blood. After that, there was a police chase. How and why I am not sure. But the argument obviously escalated into something more than an argument. The chase ended in a strip mall parking lot. There was a police stand-off. My friend exited his car, walked to the truck and pulled out a shotgun. He put it under his chin and pulled the trigger. Later that week I attended my first funeral ever. Those left behind after a senseless suicide carry blame, guilt for ever. Do I think our silly fight caused the events that day? Sometimes. If we hadn’t had that fight would he have not been at that gas station at that time to get into another fight that triggered the events of that evening? Maybe. Or, would I have been there too? Maybe I could have calmed him down. Has this cop/neighbor been carrying blame all these years too? I don’t know, maybe. So many unanswered questions. What could I have done to prevent it? That’s probably a very normal question; and 30+ years later, I am stilling asking it. Here’s what I do know: The aftermath of a suicide let’s the one who pulled the trigger off the hook. They are gone. They don’t get to deal with everything after that moment. They are no longer in pain, but the pain doesn’t stop. The pain continues to live in those left behind…in their mother, father, family, and friends crying over their casket. Those left to ask why? Sometimes there are answers; a note left behind or signs you see after the event. Sometimes there isn’t. Suicide is not a one person event. It’s involves all of us. If you are suffering from blame of a suicide, please seek help. Know that you cannot control anyone’s actions, no matter how hard you try. Talking it out with a professional, a pastor, whomever can give you a new perspective. Don’t carry that guilt with you forever. You were not meant to live with soul crushing guilt. If you are thinking that the world would be better off with out you, listen to this: You are worthy. You are here for a reason. You are loved. You may not see it now. You may be hurting so much that you just want it all to stop. I understand that pain. Remember, it’s only a moment. This moment, feeling is not the rest of your life. There is light. There is hope. There is tomorrow. Please seek support. You deserve a future free of pain. I recently stumbled upon this great website: Heart Support. There is so much encouragement there for those thinking about suicide, those left behind, and self-harming. It’s truly support for your heart. It’s is worth your click over to check it out! If you liked this post, please follow this blog below. Your email box will blow up, and by blow up I mean you will receive 1-2 encouraging posts a week in your inbox. 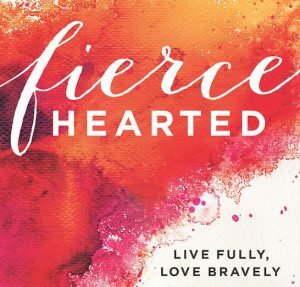 Linking up with Holley Gerth’s Coffee for Your Heart. Beautiful stories are told here. And the bold writing of Rich Faith Rising.